This week I want to discuss several risks I am currently watching starting to manifest “behind the scenes” so to speak. But first, let’s take a quick review of the markets which currently are flashing some very troubling signs. Last week, I discussed the ongoing consolidation and struggle as the markets remain “trapped” between downtrend resistance and the crucial support levels of the previous breakout to new highs. The charts below have been updated through Friday afternoon. The two dashed red lines show the tightening consolidation pattern more clearly. Importantly, while the market has remained in suspended animation over the past three months, the deterioration of the market is quite evident. However, despite the ongoing political circus, weak corporate earnings (considering the massive reductions in expectations since the beginning of the year), Apple (AAPL) and Amazon (AMZN) both missing expectations (which really goes to the heart of the consumer,) and consumer sentiment waning, it is surprising the markets are still holding up as well as they are. As long as the markets can maintain support about 2125, the bull market is still in play, but at this point, not by much. More importantly though, despite the ongoing defense of support at current levels, the deterioration in momentum and price action has now triggered intermediate and longer-term “sell signals” as shown below. Importantly, notice that both of the previous bullish trend lines (depending on how you measure them) have now been violated. Previously, when both “sell signals” have been triggered, particularly with the market overbought as it is now, the subsequent decline has been rather sharp. Lastly, as stated above, the 50-dma moving average has begun to trend lower, the downtrend resistance from the previous market highs remains present and the “sell signal” occurring at high levels suggests the risk of a further correction has not currently been eliminated. Since early May, I have continued to maintain an outlook for a stronger dollar as higher U.S. interest rates continue to attract foreign inflows. The chart below shows the relationship between exports and the dollar. Of course, despite the “whooping and hollering” over the advance print of GDP at 2.9% on Friday, such exuberance may be a tad premature as the next chart shows the relationship between the dollar and the economy itself. “This contentious and seemingly never-ending presidential election campaign makes me want to eat more comfort food to boost my spirits. Whether it was the CEO of Dunkin’ Brands (DNKN), which owns both Dunkin’ Donuts and ice cream chain Baskin-Robbins, McDonald’s (MCD), YUM! Brands (YUM) or Popeye’s Louisiana Chicken (PLKI), they all pulled the excuse the election was hurting their results. Of course, this is clearly seen in the report from the National Restaurant Association as consumers are forced to choose between eating out or paying for health care costs. “The RPI fell below 100 for the first time in eight months, as a result of broad-based declines in the current situation indicators. Restaurant operators reported net declines in both same-store sales and customer traffic in August, along with corresponding dips in the labor indicators. While no one is watching or worrying about the dollar right now, I can assure you they will be soon if the rise continues. 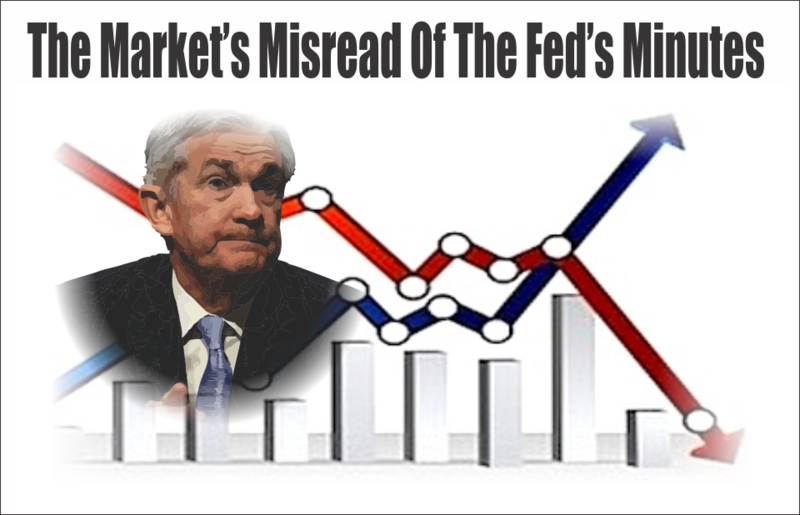 The problem, however, is that every time the Federal Reserve has tried to hike rates over the last couple of years some form of “global instability” has cropped up that has kept them on hold. 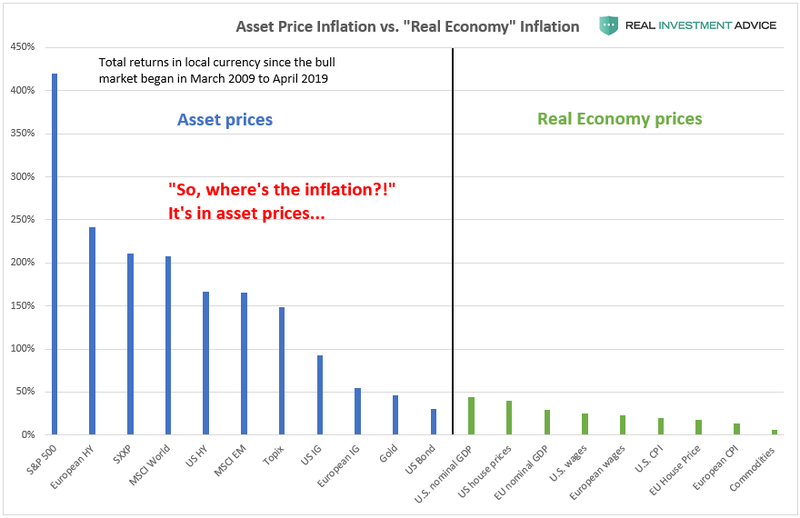 The problem, this time, is the “instability” may be domestic as the recent surge in the 10-year interest rate has front-ran the Fed in tightening monetary policy and putting the brakes on economic growth. As shown in the chart below, while rates remain in a very defined downtrend, each push to higher levels resulted in an economic slowdown with a bit of a lagged effect. With rates now as overbought as at any prior point, it is likely the “brakes” are already being applied and will show up in weaker retail sales, consumer spending, and capital investment reports in the not so distant future. 1) Sharply rising rates will immediately curtail that growth as rising borrowing costs slows consumption. 2) The Federal Reserve currently runs the world’s largest hedge fund with over $4 Trillion in assets. 3) People buy payments, not houses, and rising rates mean higher payments. 4) An increase in interest rates means higher borrowing costs which lead to lower profit margins for corporations. 5) One of the main arguments of stock bulls over the last 8 years has been the stocks are cheap based on low interest rates. 6) The massive derivatives market will be negatively impacted. 7) As rates increase so does the variable rate interest payments on credit cards. 9) Commodities, which are very sensitive to the direction and strength of the global economy. 10) The deficit/GDP ratio will begin to soar as borrowing costs rise sharply. You get the idea. The problem is that with economic growth already running at extremely weak levels, it won’t take much of a rise to put the overall economic underpinnings at risk. I take a little different look at the LMCI by using a 12-month average of the monthly changes. What is notable is despite all of the cheering over monthly labor reports, which has been “quantity” over “quality,” what has been overlooked is the declining trend in the data. “The yield curve is flattening. Leading economic indicators are sputtering. Uber-tight credit spreads and ultra-low cap rates in real estate serve as confirmations of late-cycle pricing. We are well past the peak in autos and just passed the peak of the housing cycle. Not just that but the broad measures of unemployment have stopped going down as well. And the mega ‘Merger Mania’ we are seeing invariably takes place at or near cycle peaks, as companies realize that they can no longer grow their earnings organically. We have just witnessed five multi-billion dollar deals this past week alone — $207 billion globally (AT&T/Time Warner; TD Ameritrade/Scottrade) in what has been the most active announcement list since 1999 … what do you know, near the tail end of that tech bull market too. “In a recent interview with Financial Sense, Achuthan, explains how demographics and slowing productivity are key to understanding long-term trend growth, something that monetary and fiscal policy may do little to change. As I have repeatedly stated, you can not support higher interest rates, or have an inflationary pickup, without underlying economic growth. While many are predicting “no recession” in sight, the economic data currently does not support that call. Why do we care? Because during recessions stocks have historically lost about 1/3rd of their value. After two previous bear markets since the turn of the century, you really can’t afford the risk of going through a third one. “Here’s something else to consider: For the past two years, the market has been in a sideways pattern, i.e., it’s eked out a small gain. Investors are getting anxious to generate any return on their money, just one of the many reasons they are dumping managed funds, and the reason they are desperately seeking yield. In my opinion, this is the time to be patient while waiting for the right opportunity. Anyone trying to force the market to give them money is going to be sorely disappointed in the near future. Because Halloween and the election are drawing near, I don’t want to scare you. Nevertheless, the warning signs are everywhere. Once again, the strongest case for the bulls is the “invisible hand,” the entity that frequently spikes the indexes higher whenever the market starts to sell off. As I’ve said before, fear will overwhelm the invisible hand one day, but until then we can expect to get this drip-drip-drip type of selloff on low volatility. I couldn’t agree more, and the market needs to get some traction quickly as crucial support is currently being tested. As shown in the chart below, bullishness remains high despite the recent sideways action of the market, this provides fuel for a correction should something panic investors. Furthermore, the deterioration in the breadth of the market is also concerning as shown above and below. With relative strength, momentum and breadth all on the decline, Michael is correct in stating the short-term outlook favors the bears momentarily, so caution is advised. With multiple sell signals in place, as shown throughout the entirety of this week’s newsletter, the call for next week remains higher cash levels and reduce levels of equity risk for now. When market dynamics change to a more constructive backdrop there will be plenty of time to increase allocations to equities with a more favorable risk/reward potential. That is not the case right now. Taking a look at individual sectors of the market the deterioration of momentum and breadth becomes much more evident. The first chart below are the major sectors of the S&P 500 index. As you will notice 6-out-of-9 sectors have registered short term sell signals with the short-term moving average crossing below the long-term moving average. Furthermore, the majority of the leadership for the current market has come from the technology sector where the momentum of the advance has slowed sharply. However, Financials have picked up some leadership as of late in anticipation of higher interest rates from the Fed and well as the issues of both Wells Fargo (WFC) and Deutsche Bank (DB) issues being dismissed. Staples and Utilities have also started showing some improvement last week as the “chase for yield” continues. Once again we find the majority of major indices (8-out-of-9) registering sell signals and seeing deterioration among the previous leadership. Small Cap, Gold, Mid-Cap, Dividend Stocks, Bonds, and REITs were all hit the hardest as of late. However, as I previously warned, the strengthening of the Dollar is now weighing on the performance of international and emerging market sectors. Caution is advised as the run in Emerging Markets is extremely long in the tooth and is directly impacted by weakness from industrialized economies. The overall model still remains underweight target allocations. This is due to the inability of the markets to generate a reasonable risk/reward setup to take on more aggressive equity exposure at this time. Notice in the next to the last column to the right, the majority of sectors which have previously been pushing extreme levels of deviation from their long-term moving average, have corrected much of those extremes. Financials and Utilities have now registered, as shown in the last column, a “weekly sell signal.” Importantly, by the time a “sell signal” is registered, the related sector is typically very oversold and will bounce. This tends to be a good opportunity to reduce exposure to that related sector before a continued decline. Utilities, REIT’s, Staples, Discretionary, Materials, Bonds, Gold, and Healthcare have remained under pressure this past week. While still underperforming the broad market Utilities, Industrials, Materials, Staples, and Discretionary have begun showing signs of improvement. With the rise in rates largely done, sectors with the most benefit from falling rates look reasonable. The opposite holds true for those sectors that are adversely affected by a stronger dollar and weaker oil prices. With dollar tailwind still intact, and oil prices grossly extended, profit taking in Small-Cap, Mid-Cap, Emerging Markets, International and Energy stocks seems logical. This recommendation remains from the last couple of weeks and remains salient. Most importantly, given that a bulk of the sectors remain either in weakening or lagging sectors, this suggests the current advance in the market remains on relatively weak footing. Over the last couple of weeks I have recommended taking profits in the Technology sector. This was due to the extreme levels of outperformance of that sector which has begun to fade. The rotation out of technology is likely not complete yet and brings into focus extremely oversold sectors such as Health Care, Utilities and Staples as potential candidates. The good news is the market was able to hold 2125 last week keeping support in place, but just barely. Following the revelation of more investigations into Hillary Clinton, stocks made a “run for the border” and it wasn’t to get a bag full of tacos. However, the markets DID hold support which keeps allocation models stable this week, but mind you we are standing on a proverbial ledge. The bad news is a more important correction may have just started, however, it is too early to know for certain. We remain on high alert with our initial “sell signals” in place as shown in the chart above. 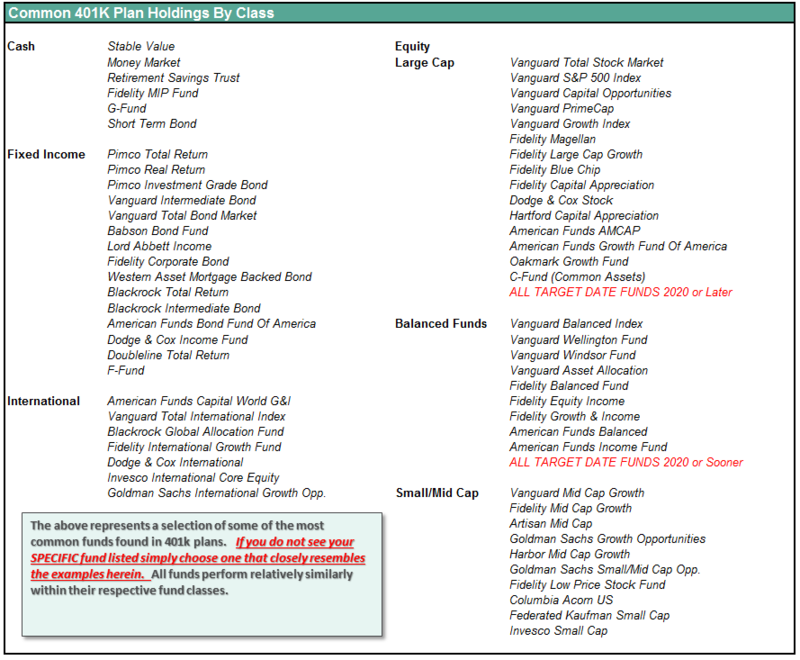 It is advised, as boring as it has been, to remain cautionary in 401k allocations. While it certainly has not been as fun as watching “paint dry,” it has kept volatility low and principal safe. However, we will make changes accordingly depending on what the market decides to do next. Again, with early warning signals are suggesting the correction has more room to go, so let’s be patient once again this coming week. Thank goodness, there is only one more week to go before the election. Once we have that behind us, assuming we don’t have another Democratic contest of results as we saw in 2000 with “dangling chads,” we should have better clarity on market direction headed into the end of the year.